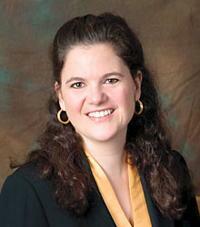 Dr. Hilary Beaver is a comprehensive ophthalmologist and cataract surgeon with Houston Methodist Hospital. She came to Houston Methodist after serving as an associate professor at the University of Iowa, Iowa City, Iowa. Dr. Beaver graduated with a Bachelor of Science in Biology from the College of William and Mary, Williamsburg, Virginia (1987), where she was elected into the Phi Sigma honor society. She graduated from the University of Virginia School of Medicine (MD, 1991), where she was elected to the Alpha Omega Alpha honor society. She subsequently completed both her transitional internship with Baylor College of Medicine, and her Ophthalmology Residency at the Cullen Eye Institute, Baylor College of Medicine in Houston, Texas (1992-1995). After graduation, she practiced comprehensive ophthalmology with Medical Center Ophthalmology at the Texas Medical Center, Houston, Texas.